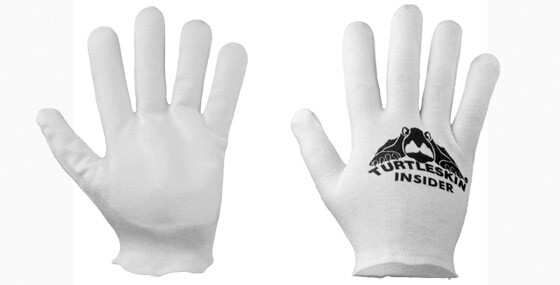 TurtleSkin Insider Safety Gloves work equally well when worn on their own or when worn as a glove liner. These gloves are perfect for wearing inside safety gloves that do not already provide cut and puncture protection. For example, insert these cotton gloves into rubber safety gloves for work in wet environments, or wear them inside bulkier unlined gloves to enhance thermal protection against heat and cold. These gloves feature a 100% aramid liner for increased puncture and cut protection, including the palm. Can also be worn as a glove insert. Soft and comfortable, these gloves feature a patented TurtleSkin aramid-blend liner for puncture protection. Can also be worn as a glove insert.